Part 1 of a two-part dialogue. For part 2, see here. I am not one who thinks a deteriorating political climate will open more opportunities to advance a left agenda. If that had been the case, the ascension of the far right to positions of power from the ’80s on would have resulted in major victories for working people. The reverse was the case. We began to reverse that deteriorating climate with the election campaign and victory of Barack Obama. It gave hope and set in motion a broad grouping of people’s organizations, labor in the first place, that began to challenge the dominance of the Republican far right and its anti-people ideology. Today we are in a very dangerous period. The president is in the bulls-eye of racist, anti-labor, anti-people forces who wish to maintain the status quo. The attacks on him are growing in their viciousness. If the right succeeds in their efforts to block even the smallest initiatives, it will be a horrible setback with possible severe consequences. The movement that came together to elect the president needs to kick it up a notch or two. 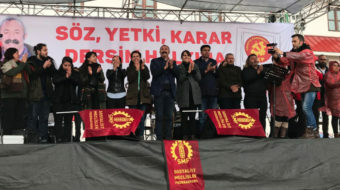 Anyone who attended the recent nationwide rallies organized by labor, health care and a broad array of women’s, peace, environmental and other people’s organizations would have witnessed a new level of activity and organizational unity. 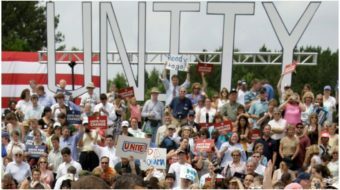 The rallies were organized around jobs, health care reform, immigration reform, peace, clean energy and more. This is the people’s movement from which progressive change will come. The more it is activated, the greater the potential for victories. The message coming from these rallies was not “let’s go after the president” or “let’s go after the Democratic Party.” Instead, the message given was the people need relief and we expect Congress to deliver. Nor was the message about drawing a line in the sand around the most militant or advanced demands. It was about activating a grassroots base to fight and win the best reform possible. Yes, anger was expressed at Democrats who have not stood their ground. But in the main, anger was directed at the insurance companies, Wall Street, the far right and the Republican Party – the political party that best represents corporate interests. Change comes from actions involving, or having the support of, broad majorities. The task of the Communist Party and other left and progressive people is to join, build and help unite these majorities to win reforms, work to see that labor and the core forces assume leadership, and allow these forces – and ourselves – to gain experience in struggle. Do Communists add something to these movements that others do not? We do if we don’t work in sectarian ways. I have never been to a meeting where I didn’t think how the presence of few more Communists would help strengthen the organization. It is in these broad working class movements where we can and need to build the Party. It is here where we can build our online press, have one-on-one discussions, meet people to invite to meetings, schools and more. For several decades the CPUSA has correctly focused on the role played by the far right and its control of the Republican Party. In the 1980s former party chair Gus Hall spoke of an “all peoples front against Reaganism” that included the Democratic Party and sections of monopoly. Going further back in history the writers of the Communist Manifesto spoke of communists in Germany uniting with the bourgeoisie against the monarchy. In the coming legislative and political battles working people and their allies will wage, it will be wise to keep this in mind: progress will not come from the defeat of President Obama; a growing far-right menace will only be emboldened. Standing apart from this movement or pointing out its weaknesses – surprise, surprise, it is not “perfect” – would only isolate and make us irrelevant. As one activist told me recently, it is not the president who needs to get a “spine” it is we who have to be the president’s spine. “I think he would appreciate it,” she said. This article is part of the discussion leading up to the Communist Party USA’s 29th National Convention, May 21-23, 2010. The People’s World takes no responsibility for the opinions expressed in this article or other articles in this discussion. To read other contributions to this discussion, visit the site of the Pre-Convention Discussion period. All contributions to the discussion should be sent to discussion2010@cpusa.org for selection, not to this publication. All contributions must meet the CPUSA guidelines for discussion. For more information on the convention or the pre-convention discussion period, you can e-mail convention2010@cpusa.org. 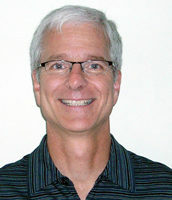 Activist John Rummel covers events in Michigan. It's not politics-only for John; he loves sports, the outdoors and a cold beer or two!